If you’re a student heading back to school, there’s no doubt money is on your mind. Tuition, textbooks, and living expenses add up quickly. And what about your savings goals? With all these expenses, can you still find a way to put enough money in your high interest savings account to afford that summer vacation you’re planning? 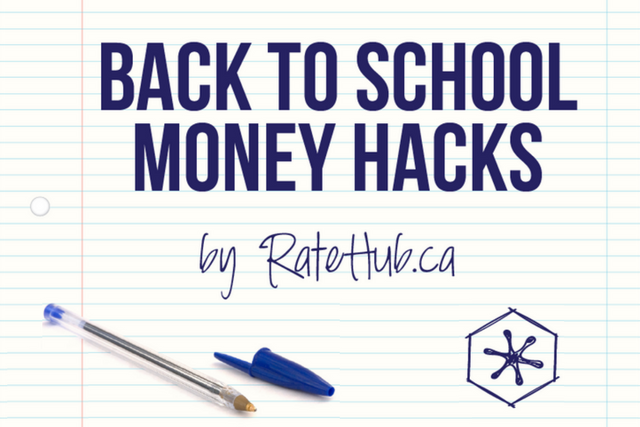 To help ease your stress, we’ve put together a few money hacks for back to school from some of Canada’s smartest entrepreneurs and personal finance experts. Our first hack comes from Kyle Prevost of Young and Thrifty. Kyle knows what he’s talking about—he literally co-wrote a book called More Money for Beer and Textbooks. 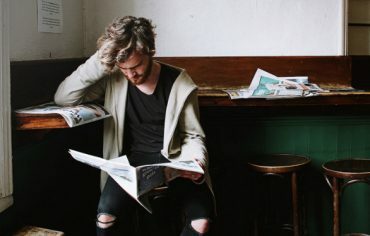 Trips to the campus pub are a rite for most post-secondary students in Canada but the costs can really add up, especially if you’re drinking fancy craft or imported beers that can easily top $7 a pint. In Ontario, the cheapest bottle of beer is only $1.33 when you buy it in a case of 24. Multiply the difference by the 6.4 drinks the Canadian Campus Survey says the average student consumes, and you could save enough money on beer to cover a couple months’ rent. Ryan Shupak, co-founder of Jiffy, recommends working odd jobs when it’s convenient for you. He believes in this so passionately, his company built technology that allows you to find an odd job on a whim. According to Ryan, you could earn up to $40.00 for doing an hour of yard work, or $50.00 for shovelling a driveway. To make the same money, you’d have to work four hours at a minimum wage job—and that’s not even considering the commitments required to get and keep a job. Ryan didn’t mention this to us, but we think an hour of yard work is a good substitute for a trip to the gym. So if you stick with it, you can cross that expensive membership off your budget sheet, too. Get in touch with Jiffy on Facebook, Twitter, and Instagram, and read more tips on its blog. Bridget Eastgaard is responsible for the brilliant site Money After Graduation, but she was happy to weigh in with her tips on what to do while you’re still at school. We did the math and that $5,000 goal is actually really easy to attain. If you charge $25/hour and tutor for two hours a week over the school year, that’s $4,800 in just four years. Right now the best savings accounts in Canada pay 2% interest—enough to push you a few hundred dollars over the $5,000 mark. Get more ideas straight from Bridget at the Money After Graduation YouTube channel. Robin Taub, author of A Parent’s Guide to Raising Money-Smart Kids, recommends getting to work the old-fashioned way: with an on-campus job. Using Western University as an example, we found the cost of residence adds up to more than $11,000 a year including meals. We also found you can earn more than half that amount at Western by being a residence advisor (also known as a don, or fun killer). The RA jobs are probably filled for this year but there are plenty of opportunities on campus, so get to work! Find out more about Robin and A Parent’s Guide to Raising Money-Smart Kids at her website, and follow her on Twitter and Facebook. Cedric Mathieu is the director of Turo Canada, and his advice is really simple: Let your assets do the work for you. The cost of parking at Canada’s universities is not student-budget friendly. 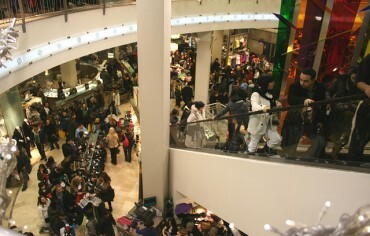 In fact, the average cost at the 10 most expensive schools is $718 for the school year, according to Maclean’s. If you can get paid to have someone else take your car while you’re not using it, that’s a win-win. Find out more about Turo on its website, and visit them on Twitter, Instagram, and Facebook. Ratehub.ca staff members disagree on how long it’ll take to knit a pair of mittens (if you have the answer, let us know), but let’s imagine it’s not a stretch to knit 25 pairs over the semester. If you sell them on Etsy for $25 each, that’s just under $600 straight in your savings account. But remember, no knitting during class. 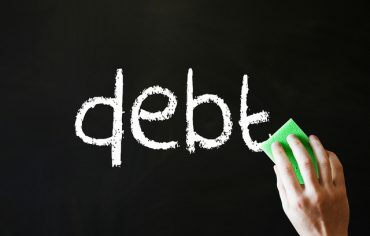 Debt Relief – Which Option is Right For You?